The government is planning to eliminate most of the tax exemptions now granted to private investors, a move that critics say will take away the only incentive for investing in Cambodia. Repealing all but one of the exemptions will help the government earn back millions of dollars in revenue sacrificed to attract investors since the current investment law took effect in 1994, officials said. Sok Chenda, the Council for the Development of Cambodia’s secretary general, said many aspects of that law are outdated and need to be amended. “Lots of things have changed since [the current investment law took effect],” he said. But repealing exemptions is not the way to improve the law, said Senaka Fernando, president of the International Business Club, consisting of 33 multinational corporations. Under the proposal, only the exemption on the export tax will likely remain for investors. Also under the proposal, the current 9 percent corporate tax is expected to increase to 20 percent, while existing tax holidays granted to investors for up to eight years will be repealed. Import duties, which are not levied on construction materials, equipment and spare parts for a wide range of industries, will likely be imposed, according to the draft proposal. While the duration of land leases will extend from 70 to 99 years, the proposal seeks to eliminate the ability of businesses to bring corporate profits back to their home countries without first taxing them in Cambodia. 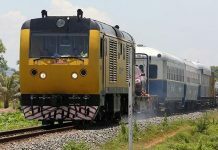 The government has also proposed levying taxes on profits reinvested in Cambodia. The proposal comes less than a month after Prime Minister Hun Sen warned that the government was preparing to eliminate some tax incentives in order to generate more revenues from the commercial sector. 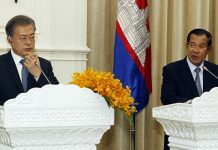 Hun Sen said at that time the government has already lost considerable revenue in order to attract investment. He claimed that about $170 million in revenue could have been generated if certain businesses did not receive tax breaks. The garment sector, representing Cambodia’s single largest industry, accounted for about $163 million given up to exemptions, he said. 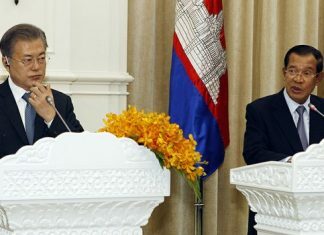 Cambodia’s admission into Asean, and its anticipated entry into the World Trade Organ­ization, have made it necessary for the country to find new ways to attract investors, Sok Chenda said. Pledged investment in Cam­bodia has slowed considerably. Last year, $270 million in investment was pledged, 10 times less than in 1995. This has also forced Cambodia to squeeze more revenue out of the private sector, Sok Chenda said. Some businessmen say the repeal will only diminish Cam­bodia’s regional competitiveness. Fernando, of the International Business Club, said neighboring countries such as Vietnam, with an already existing infrastructure, are improving investment climates and adding more tax incentives for foreign investors. “This is kind of an anti-investment. People would go to Viet­nam, Singapore or Thailand, where basic infrastructure is in place,” he said. Others suggested Cambodia fully impose existing taxes on all of Cambodia’s businesses rather than try to create more only for large enterprises. “The government should broad­­en tax bases within the existing laws,” said Simon Parr, secretary-general for the Aus­tralian Business Association. For example, he said, small- to medium-sized businesses now exempt from the Value Added Tax should begin paying. Kith Thieng, vice chairman of the Royal Group, said the government should address the problem of smuggling, which takes enormous amounts of money out of national coffers each month. The proposed amendment, prepared by a government task force and the World Bank’s Foreign Investment Advisory Services, will be presented for public review Monday. No schedule has been set for the amendment’s debate in the government, which will follow extensive discussions with the private sector and donors such as the International Monetary Fund.